In Blue Exorcist the Movie, everyone is in the midst of preparing for a festival that takes place once every 11 years in True Cross Academy Town. However, behind the scenes in the shadows, a “Phantom Train” goes berserk while the barriers protecting the town from demons is under repair. Rin, Yukio, and Shiemi are sent to exorcise the Phantom Train, but Rin complicates the situation as always. Among all of the chaos, Rin meets a demon in the form of a young boy. Meanwhile, Cheng-Long Liu, a Senior Exorcist First Class from the Taiwan Branch joins Shura in the repair operation and the story takes an unexpected turn as all their fates cross. Special Features: 2 Audio Commentary Tracks by Production Staff and Japanese Cast, Promotional Trailers and CMs. not very good, lame voice acting. sloppy. don't buy. Blue Exorcist: the movie was the best anime film ever. The English dub is perfect, the storyline is awesome. I recommend this to every blue exorcist fan who has not seen this movie yet. 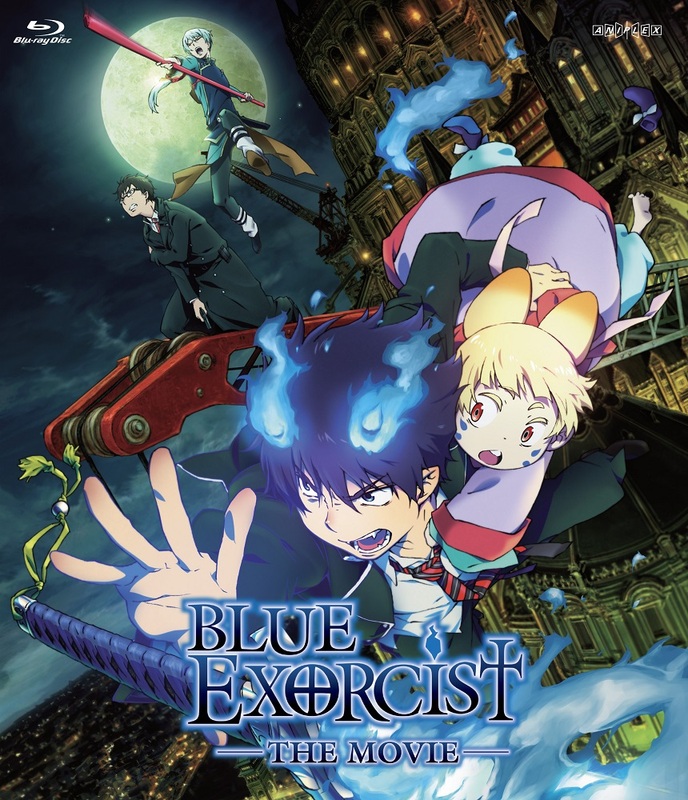 As the only movie for Blue Exorcist, this movie did a great job of staying true to the feeling of the anime and manga. The plot does move a bit slow, but it feels like I'm watching one of Kazue Kato's short stories. The animation for this movie is AMAZING, especially the backgrounds. Every scene is detailed and colorful which makes it hard to look away. I really enjoyed this movie. I just happened to notice it when getting the Kyoto Saga (great season btw) & couldn’t resist picking this up too. Little less action but what’s there is great plus plenty of funny moments that Blue Exorcist does so well.